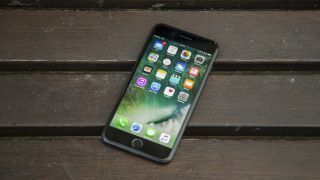 There's another iPhone crashing bug frustrating iOS fans around the world - but we have the steps you need to take to avoid it making your iPhone break down. Some of those vulnerable to the attack have received a three character-long text message - usually containing both flag and rainbow emojis as well as the number zero - and found that their iPhone has been briefly disabled. If it happens to you, your phone will freeze for a minute or so and some victims have found that they have to force restart their iPhones to solve the problem. There's also another issue where someone sends a large contact file to stress out your iPhone - and you'll find fixes for both of these issues below. The best way to avoid the "rainbow emoji bug" is to make sure you're on the latest version of iOS. Those running iOS 10.2.2 on their phones won't be affected by the bug. Apple must have realized it was an issue and pushed the update with a fix for this specific problem. To check you're running the right software, head to the Settings app on your phone, then head down to general and press "software update". If it says your iPhone is up to date, you won't be vulnerable to the attack. Some iPhones won't be able to update to iOS 10 software though - only devices from the iPhone 5 onward are compatible - so you may not be able to avoid the bug at all. That's likely to affect anyone using an iPhone 4S or an earlier device. If Apple pushes a fix to older devices we'll be sure to update this piece, but it's very unlikely considering Apple's usual form for updating out of date phones. Another bug - raised by EverythingApplePro - has found a second attack, which is a little more difficult to fix. This involves the attacker sending a large contact file to your iPhone from iCloud Drive. The file is so large it will overload the Messages app, meaning whenever you try to open up Messages it will stop working. If you fall victim to the attack, press this link when using your iPhone to create a brand new message within the app. It will then allow you time to delete the message that has been causing the bug. There's no way of preventing the message from coming through, so if you think it may happen again it would be worthwhile blocking the sender. You can do that by pressing the "i" button at the top right of the message thread or finding the culprit in the Contacts app. You'll find an option called "Block this caller", which will make sure they won't be able to message you again.